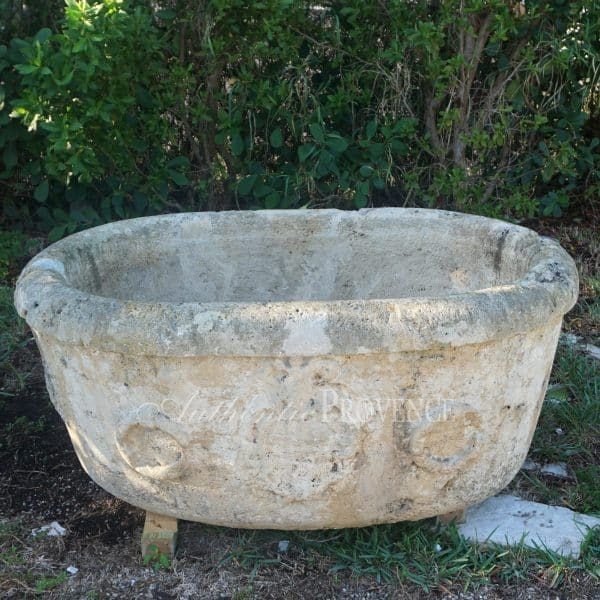 An antique basin made of hand carved Pietra Biancone with a family crest. Wear consistent with age and use. Circa 1720, originally from a late Renaissance estate in the Veneto region, Italy. 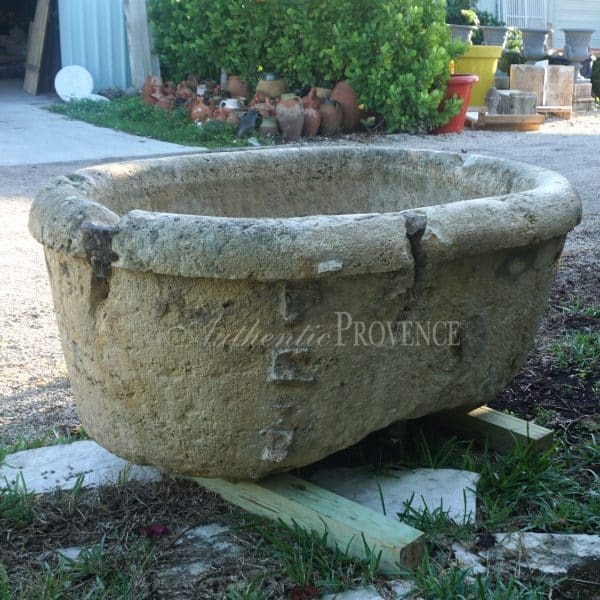 Categories: Architectural Elements, Troughs & Basins. Tags: 1720, 18TH CENTURY, BASIN, ITALY. 28 H in. x 64 W in. x 43 D in.